Contact us for a free consultation when you want to give your garage a custom makeover in San Diego. 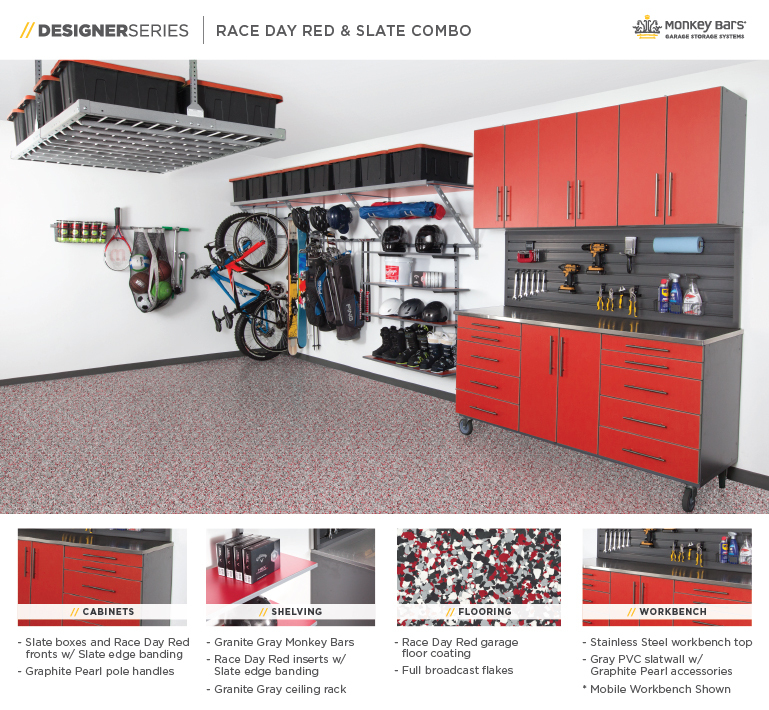 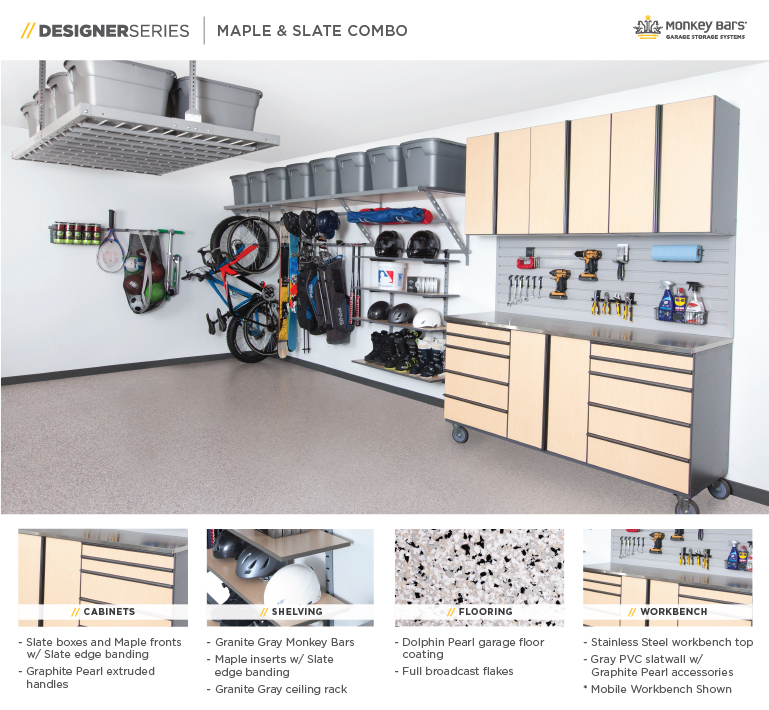 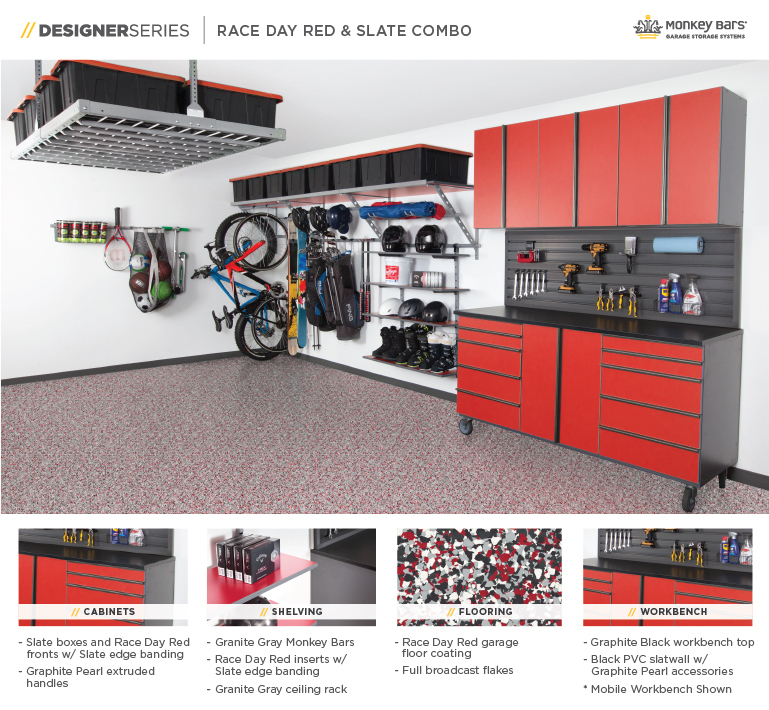 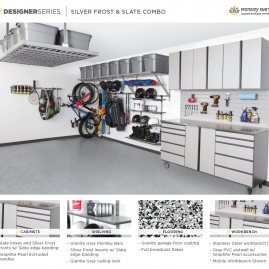 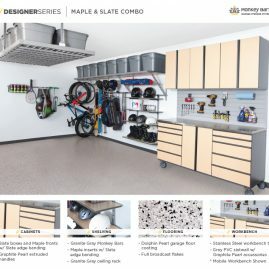 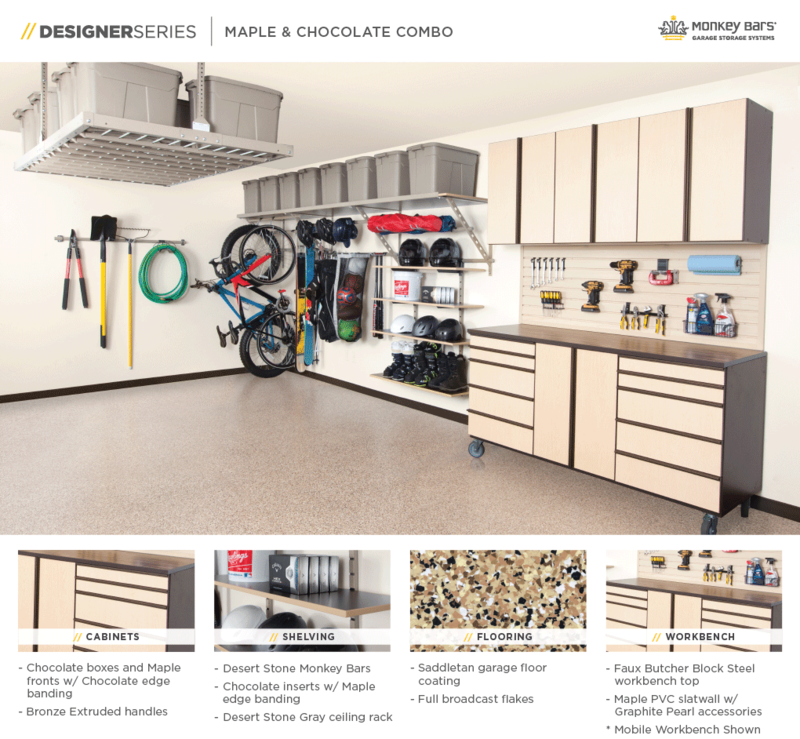 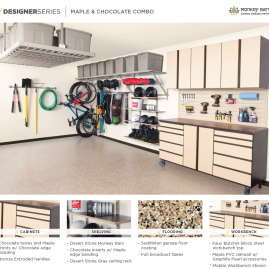 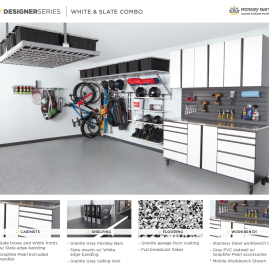 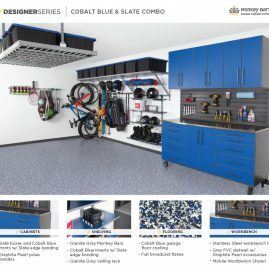 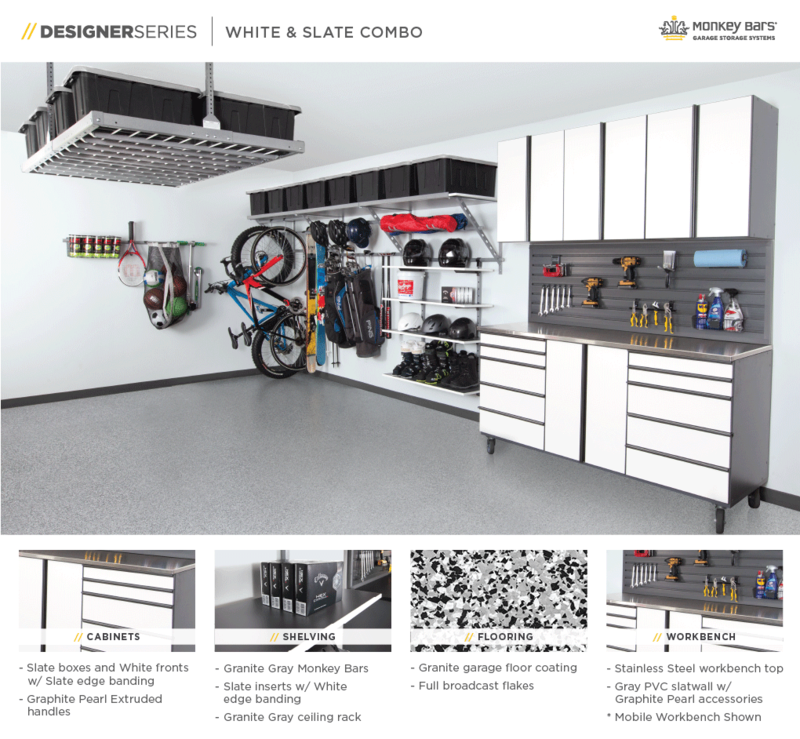 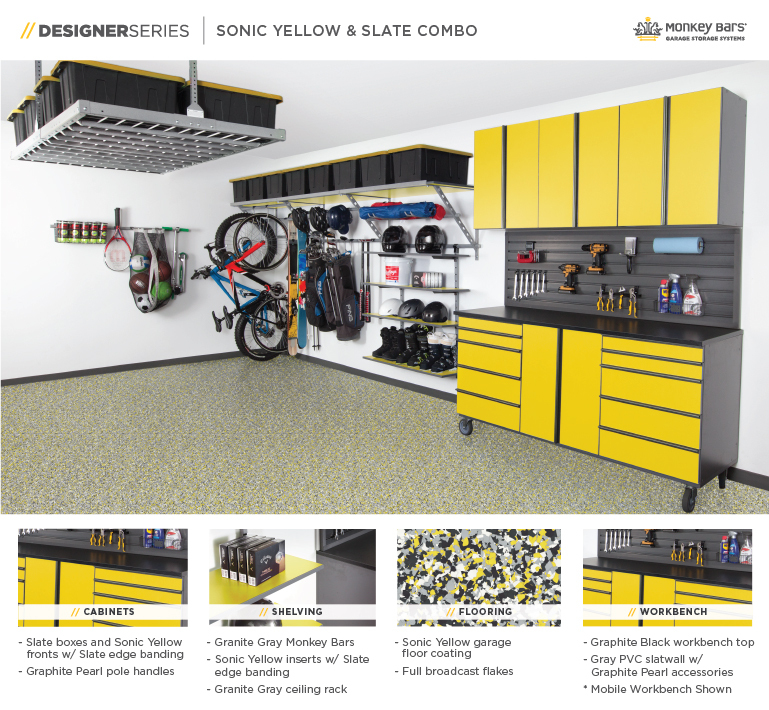 These are just a few ideas to show how your garage can transform through our garage cabinets, shelving systems, overhead racks, and flooring options. The possibilities are endless with adjustable products that come is a wide variety of colors.